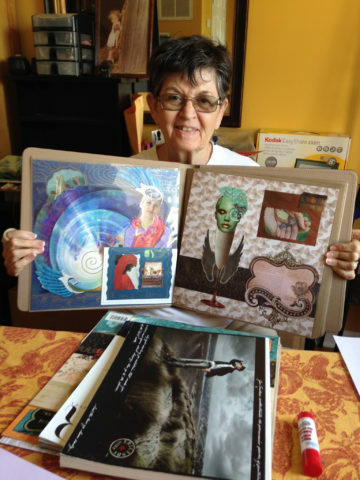 I started working on these collages and pantuns at a class taught by Judith Winston at Health Touch. I had been cutting up magazines and making things since I was a kid so it came pretty easy. I really enjoy taking the time each day to sit at my creativity table and see what emerges. I have come to think of it as my morning meditation. It nearly always puts me in a happy mood! I hope you like the collages and pantuns. 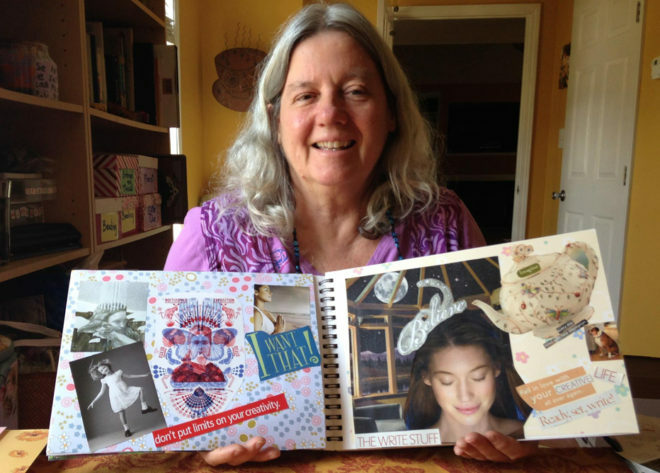 Maybe you will even feel inspired to create your own, or share them with others. My creative Sister is a Goddess. She takes a blank canvas and fills it with flowers. She rejoices in the goodness of life. She celebrates her wisdom in imagery. Her Inner Landscape is filled with wisdom. There are no constrictions on her expression. My artful sister is a creative goddess! Please use the contact form if you want to send me a message. Feedback is appreciated. exists a sacred way of being. some of us stop and witness. some of us fret and flurry in disbelief. both have their place in this great dance of living. some say that reality is an inside job. some know this to be true. those who “know” cannot say. and, any way pointing could be vanity. JUDO, This poem is written in response to the lovely collage you just sent. i thank you for the inspiration! Fabulous! !‎ I think we all did an awesome job of celebrating our voices + beliefs yesterday and your pantoum and collage reflects the beauty we experienced! Judo, i delight in your delight and your joy!!!!! WOW, I love your Blog. This compilation is beautiful and touching. Your collages are wonderful and I think you should try and publish your poems as many people can relate to them and would find them moving ! well done and thank you for sharing them with me. -Susan V.
I just finished reading your poems and viewing your collages! I just did not want it to end! Thank you for sharing your deepest self with me through your words and creative collages. I was trying to choose a favorite collage/poem but each held its own place in my heart and stirred up different emotions.